Having access to a wide range of applications, you might wonder which one is the best for you. It all comes down to your specific needs and expectations. Read on to see which type of application is the best fit for you. You can use this application from your favorite browser without having to install any additional files. It works on Windows, Mac and Linux. This is all possible thanks to a fully hosted back-end environment. Agents are handling all the chats through their browser of choice. Sign in to the web application and start chatting! You can use LiveChat right from your desktop thanks to dedicated applications for Windows and Mac. They are powerful tools in hands of a skilled agent. The desktop applications are great for agents who use LiveChat when they are working at their PCs. Thanks to auto-start and auto-login options, turning on the computer means turning on LiveChat. 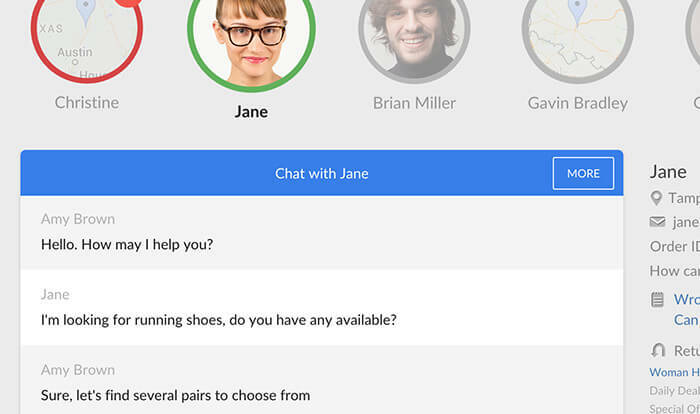 Download the Windows or Mac desktop application and get your live chat going! You don’t need to leave your live chat unattended. With our mobile apps you can take it anywhere with you! Install one of the apps on your mobile device and get the ability to track your clients and chat with them. If you’re getting pulled away from your desk often, mobile apps are definitely for you. Get an application for your mobile device of choice. We have applications for iPad, iPhone and Android.